Hey it was a great run while it lasted. For the past 5125 year long cycle, the Mesoamerican Long Count calendar has been humming along just fine. But you know what? The Mayan calendar ends — yep just plain runs out — in a few days, on December 21, 2012. Unless you’ve been living under a rock, you know this apocalyptic event is seen as the end of the world as we know it by many, including those calling for a celestial collision during the heightened cycle of solar activity called the Solar maximum. While there will no doubt be those who view the day as just another chance to get to the mall before Christmas, we couldn’t help but wonder if the ten events below weren’t omens, or harbingers of certain doom. You be the judge. Butter closes. The hip NC Music factory lounge and spot for hotties is no more. If the absence of $16 martinis isn’t a sure sign is the end of the world, what is? Harry Jones stiffed on his year-end raise. The County Manager was blanked come raise time by the Commissioners. Not the end of the world? For Harry it is. Knowing the end is near, Hal took the opportunity to publically dis his bosses too telling them the past year was one of his most successful. Uh, I guess the whole tax re-evaluation mess and the fact that Meck County’s social services agency is a disaster are two issues Hal didn’t choose to highlight. 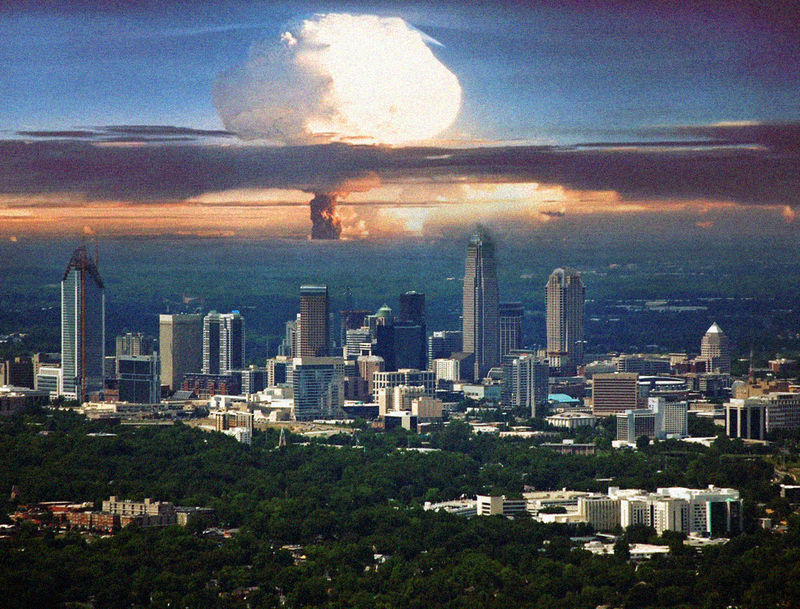 Pat McCrory moves to Raleigh. Mayor Frat-boy migrates to the red-center of the state. Certain doom! Panthers continue to lose. The only thing 500 means to Jerry Richardson is the number of millions it’s going to take to rebuild his team. Why bother replacing Rivera if it’s all over anyway? Poor Jer-bear and all this after Kalil “guaranteed” a Super Bowl for the Cats this year. The only bowl they are headed for needs a sanitizer. Jim Rogers out at Duke. When this guy turns out the lights, you know it’s over. Jimbo is finally bailing after the heat over the Duke-Progress merger caught up with him. He’s rumored to be in line for Energy Secretary with Barry-O’s second term -– clearly another predictor of the apocalypse. Republicans hold convention in Charlotte. The RNC is on tap for their winter meeting in the QC. Really. Look at how much good that strategy did for the Dems in NC. Maybe they will bring back Michael Steele? CRVA no longer reports detailed monthly financial statements for the Hall and other city-owned buildings. Apparently in Armageddon, NASCAR attendance is not a big deal. Trolley project killed. Say it ain’t so! When the world craters, Uptown will finally be Downtown, and we won’t need it. Ballantyne talks secession. How much more proof do doubters need? With Bill James in full support, can the end be far behind? No more Twinkees. OK this isn’t on Charlotte but if this fact alone doesn’t portend doom, nothing does. Streetcar (modern streetcar, not a trolley) is not dead.